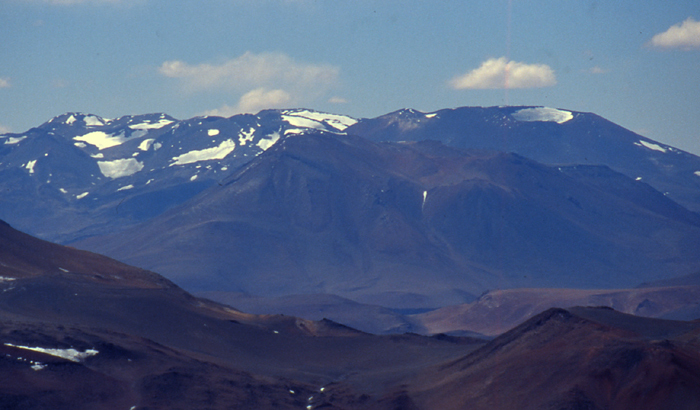 Sierra Nevada from the south, the highest summit is at the left hand end of the long summit plateau, with Cumbre del Laudo on the centre right of the photo. We can organise guided ascents of this peak. For details of how to climb it and neighbouring peaks in the southern Puna de Atacama and Agua Negra area please see our guidebook available in English, Spanish, Polish and French editions, direct from us or from all good bookshops and mountaineering shops.